Dana Sturtevant had a wake-up call when she realized her diet and weight-centered nutrition research work wasn’t really helping improve health and well-being. She co-founded Be Nourished, a community outpatient clinic and professional training institute. 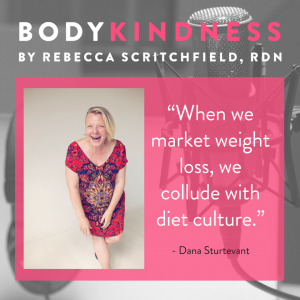 Recognized as one of America’s top radical dietitians, Dana encourages movement toward a compassionate, weight-inclusive model of self-care to address body oppression, heal body shame, and disrupt patterns of chronic dieting and disordered eating. Dana Sturtevant, MS, RD is a trainer, mentor, yoga teacher, and dietitian specializing in Health at Every Size® and Intuitive Eating. 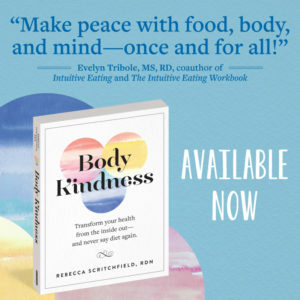 She is the co-founder of Be Nourished, a community based outpatient clinic and professional training institute that encourages movement toward a compassionate, weight-inclusive model of radical self-care to address body oppression, heal body shame and associated patterns of chronic dieting and disordered eating. A member of the International Motivational Interviewing Network of Trainers since 2002, Dana has facilitated over 3500 workshops throughout the United States. 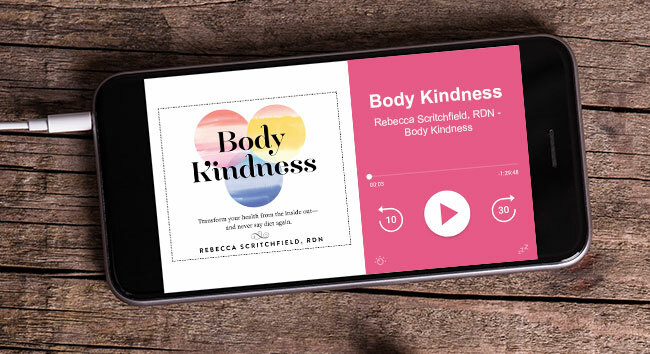 She was an adjunct professor in the Eating Disorder Certificate program at Lewis and Clark College in Portland, OR, and coordinator of the Columbia River Eating Disorder Network. Dana holds a M.S. in Nutrition Science from the University of Florida and a B.S. in Food and Nutrition from Southern Illinois University. For more information about her, visit www.benourished.org.